MIAMI, FL – The day before Mother’s Day, runners gathered in Coconut Grove to participate in the 16th Annual ALS Lou Gehrig 10K Run and 5K Run/Walk. 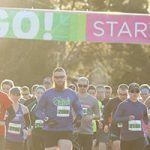 Continental Event & Sports Management Group, LLC (CESM), producers of the Divas® Running Series and Myrtle Beach Mini Marathon, produced the event in collaboration with the ALS Recovery Fund. The race started near Miami City Hall and Dinner Key, running through Coconut Grove and Coral Gables, providing participants shade as they passed under the giant banyon trees. Locals from Miami swept both the 10K and 5K races. In the 10K, Christian Saporta crossed the finish line first with a time of 37 minutes and 38 seconds. Andres Pozo took second with a time of 37 minutes and 52 seconds. Steven Lazar rounded out the top three with a time of 38 minutes and 23 seconds. John Hinkle finished first in the 5K, with a blistering time of 15 minutes and 21 seconds. Nathan Scott placed second with a time of 16 minutes and 12 seconds while Jonathan Mederos took third with a time of 17 minutes and 57 seconds. Full results are available at https://hub.enmotive.com/events/2018-als-lou-gehrig-10k-run-5k-run-walk/results. Packet pick-up took place the Thursday and Friday prior to the race at The Runners High in Pinecrest, FL. Special thank you to Beanitos and KIND Snacks who kindly donated product for the finish line food tent and all those who donated and fundraised to help create public awareness, promote research and education, and provide patient care and research to find a cure for ALS. ALS, which stands for Amyotrophic Lateral Sclerosis, and also known as Lou Gehrig’s Disease, is a disease that is a progressive, fatal, neurodegenerative disorder of the upper and lower motor neurons. A little over 6,000 people in the U.S. are diagnosed with ALS each year and an estimated 20,000 Americans have the disease at any given time. May happens to be ALS Awareness Month and the ALS Recovery Fund will use proceeds from the race to further the quality of ALS patient care in South Florida. 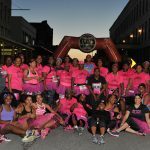 With world-class running events such as the Divas® Running Series and the Myrtle Beach Mini Marathon, Continental Event and Sports Management Group, LLC is one of the premiere sports management companies in the United States. Robert and Gaby Pozo, founders and managers of Continental, have over 17 years of experience in the race production industry providing unparalleled events to participants and their host communities. I consent to Continental Event & Sports Management collecting my details through this form.